Monday, Jan. 18 marks Martin Luther King, Jr. Day this year, which falls near the civil rights leader’s 87th birthday on Jan. 15. If you’ve got the day off, there are great opportunities to celebrate the day by hitting up some museums you’ve been meaning to check out or engage in other relevant cultural experiences. Whether you’re in L.A. or the Bay, we’ve got you covered. -The California African American Museum holds an annual “Cake for King” celebration from 11 a.m. to 4 p.m. The free, family-friendly event, held at the museum in Exposition Park, includes an art workshop, documentaries, storytelling, face painting, documentaries and a slice of homemade cake, while it lasts. -The 31st Annual Kingdom Day Parade is the largest parade in the United States celebrating Dr. King. It starts on Martin Luther King, Jr. Boulevard at Western Avenue and runs down Crenshaw Boulevard to Vernon Avenue. The parade will feature marching bands, drill teams and tons of floats. Free to attend. It runs from 11 a.m. to 1 p.m.
-LACMA is free day on MLK, Jr. day and will offer bilingual tours, a family sketching activity, and live music by Dixieland blues/swing band The California Feetwarmers and the California Feetwarmers Dancers at 12:30 p.m. and 2:45 p.m. It opens at 11 a.m.
-For the little ones, at Leimert Park’s Kiddie City, there’s an “I Have a Dream” wall on which kids are now welcome to place their handprints and share their dreams. Then, on MLK, Jr. Day, there will be a reveal of the wall from 10:30 a.m. to 12:30 p.m., with stories, songs, and arts and crafts inside the play space. -In Pasadena’s Jackie Robinson Park, the Martin Luther King Jr. Holiday Celebration will feature a teach-in, arts and crafts sessions, guest speakers, music, poetry and food. This free event starts at 8 a.m. and runs until 12:30 p.m.
-On Saturday, Jan. 16 in Long Beach, the 28th Annual Martin Luther King, Jr. Peace & Unity Parade starts at 10:30 a.m. with a parade beginning at Martin Luther King, Jr. Avenue and Anaheim Street. The event continues into the afternoon with live music and entertainment, carnival rides, arts and crafts, and other children’s activities. The event is free. -At MLK2016 celebration, there’s a full day of free and exciting events, festivals and programs, as well as a commemorative march/parade from San Francisco's Caltrain Station to Yerba Buena Gardens. The march begins at 11 a.m., and participants are encouraged to arrive early. The one-and-a-half-mile journey crosses the Lefty O’Doul Bridge and stops at Willie Mays Plaza at AT&T Park to commemorate the crossing of the Edmund Pettus Bridge in Selma, a symbol of violence and victory in the civil rights movement. -In the Name of Love "The Civil Rights Movement Through the Music of Nina Simone" features Patti Cathcart, Paula West, Rhiannon and Terrance Kelly at 7 p.m. at the Oakland Scottish Rite Center. -Museum of the African Diaspora has its Dr. Martin Luther King, Jr. National Day of Service and free admission. Marcus Shelby presents MLK and the Blues and more. 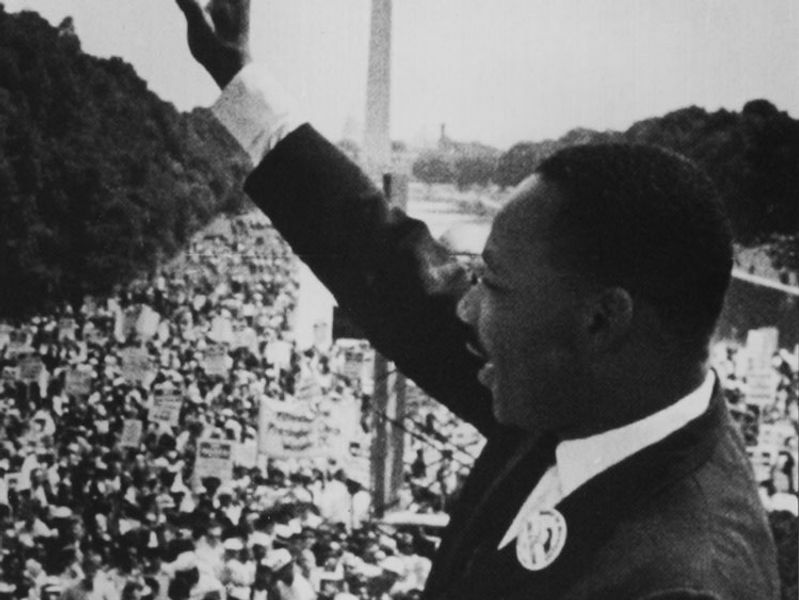 -The Annual Martin Luther King, Jr. Film Festival celebrates its 10th anniversary at the African American Museum & Library in Oakland.